The laboratory of gas cleaning is dedicated to investigating different devices related to the cleaning of air. These can be devices contributing to the reduction of harmful emissions into the atmosphere (e.g. DBD plasma actuators) or devices for purification of polluted gases, particularly for dust removal (e.g. electrostatic precipitators – ESPs, electro-hydrodynamic cleaning devices). 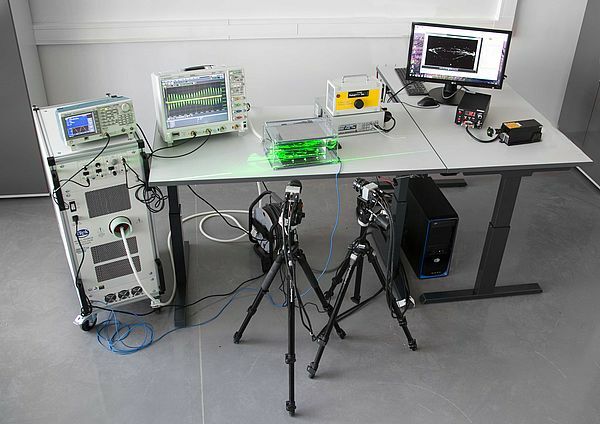 The laboratory is equipped with a system for laser flow visualization and flow velocity field measurements using the Particle Image Velocimetry (PIV) method. It consists, among others, of the Nd:YAG laser and two fast CMOS cameras. This enables instantaneous measurements of all three velocity components in the laser plane. The laboratory is also equipped with the apparatus for measurements of gas parameters, e.g. pollution with dust particles (particles sized from 10 nm to 32µm). Moreover, the laboratory is equipped with a function generator and a high voltage amplifier for supplying different devices with almost any type of high voltage (in the range between – 30 kV and +30 kV) as well as equipment for electrical parameters monitoring. measurements of the electrical parameters of high-voltage supplied devices (e.g. ESPs). The Laboratory of Functional Materials plans to conductresearch concerning preparation and characterization of functional materials dedicated for application in energy conversion and storage devices. The laboratory is equipped with: a scanning electron microscope, a stylus profilometer, and a magnetron sputtering machine. Scanning electron microscope allows surface of investigated specimens to be observed, including biological samples and advanced materials with extremely high magnification (up to 300 000). The stylus profilometer provides repeatable and accurate measurements on a variety of surfaces, covering traditional 2D roughness surface characterization and step height measurements. 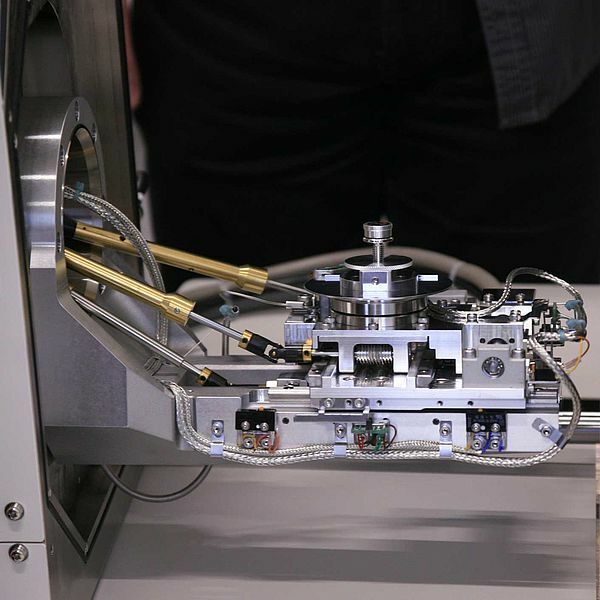 The modular magnetron sputtering machine equipped with a turbomolecular pump allows thin films of oxidizing and non-oxidizing metals or oxide films (e.g. indium-tin-oxide) to be deposited on the substrate surface. The presence of a built-in quartz microbalance sensor ensures precise control of the thickness of the evaporated film. characterization of layers (sample thickness up to 50 mm): surface roughness verification, thickness determination, solar trace analysis, verifying design and performance of microfluidics. 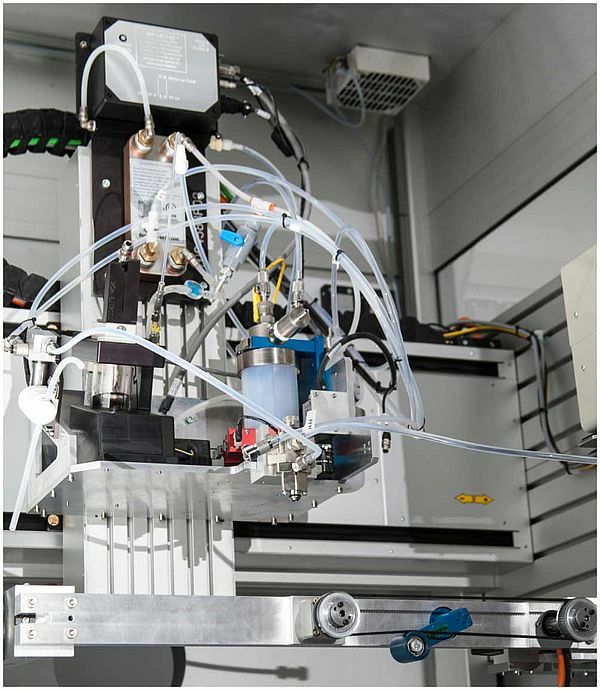 The equipment present in the laboratory of materials could also be used for investigations in other fields where nanomaterials, specific sample preparation or surface analyses play an important role. complementary infrastructure of the IPPT PAN provides the possibility to conduct complex research for increasing safety of energy and transportation systems. The scientists working in the laboratory have experience in modelling and designing systems for structural monitoring and impact energy absorption as well as in designing professional electronics for industrial applications. modelling and manufacturing of advanced structural components based on additive methods. The laboratory provides resources enabling professional design and manufacturing of advanced electronic devices, including application of thin layers of materials on 3D surfaces with aerosol jet printing technology, and research on manufacturing metal parts by means of direct laser sintering.